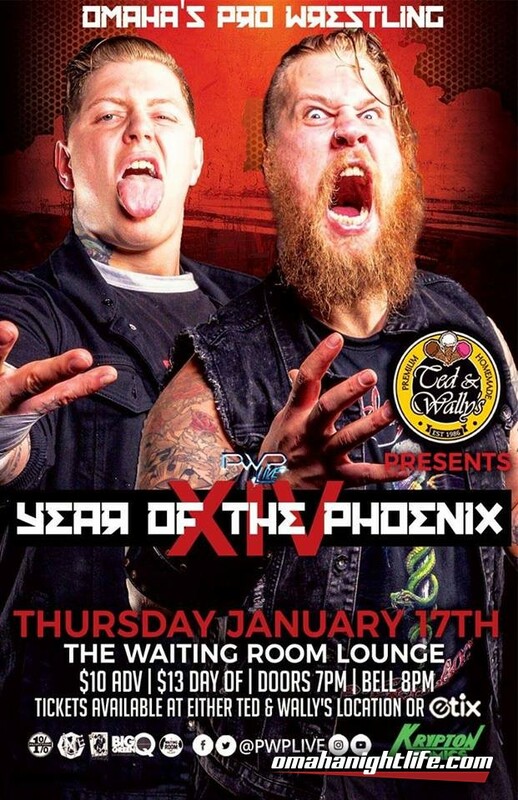 PWP Live returns to The Waiting Room Lounge on Thursday January 17th with the 14th installment of one of our biggest annual traditions, Year of the Phoenix!! *** PWP Champion DUKE CORNELL defending the title against BRANDEN JUAREZ, "THE CANDYMAN" WILLY SWEET, and CON ARTIEST in a huge Fatal 4 Way!!! *** CHRIS HAVIUS collides with JAYSIN STRIFE!!! This is Havius' first ever singles match at The Waiting Room - and Strife's first singles match in PWP since 2011!! *** "COLD STONE" TIM BOSTON challenges MOONSHINE RUSSELL for the PWP Rising Phoenix Championship!!! Boston earned this shot in December by winning a number one contenders match against the previously undefeated Seto Kobara - Boston gets that shot at the Rising Phoenix title at Year of the Phoenix XIV on 1/17!! 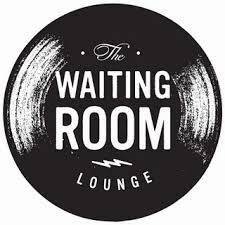 Advance tickets available now at Ted and Wally's Ultra-Premium Homemade Ice Cream (both Old Market & Benson locations).